Ever got trapped in a situation when you wanted to make a call in an emergency only to find (to your surprise!) that you are currently in an ‘out of reach’ area where there is no network connectivity? This may have happened countless times to you, but do you expect your boss, your wife or husband to believe you? Well, not many people are going to understand your situation, wherein they will end up thinking that you are merely making excuses or lying. So now, in order to avoid falling in such an undesirable situation, and to be able to make a call even when there is no network (this is no dream! ), make sure that you give due consideration to taking on Metro PCS WiFi calling. True to its motto ‘unlimited wireless service’, wireless for all is the base of the Wi-Fi calling service by Metro PCS. All it takes to empower yourself to tackle the problems of network coverage is a power packed Wi-Fi calling system from MetroPCS. What’s Metro PCS WiFi calling all about? 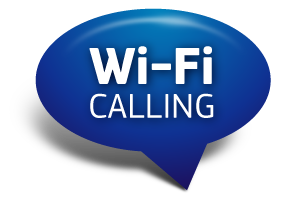 In order to go in to the details of Metro PCS WiFi calling services, let’s have a brief introduction on what Wi-Fi calling is all about. It is a basically application that allows the user to make or receive calls using a Wi-Fi network. It provides great mobile phone coverage, which is really beneficial. With this application, an individual can get your SMS, and receive your voice calls even if they are in locations where there is no network coverage. The Wi-Fi calling service that is being offered by Metro PCS is known by the name ‘Joyn’. Joyn can easily be downloaded from the Metro App Store or through Google Play. It can be used over all Metro PCS 4G LTE phones, apart from the Samsung Craft and Samsung Indulge. The most amazing part about this particular service offered by Metro PCS is that you can call any type of phone over Wi-Fi, irrespective of whether it is a landline or a phone of any other carrier. The same rules and rates that apply to regular calls apply to calls over Wi-Fi for long distance and International numbers. Wi-Fi calling on Metro PCS enables you to call, chat, share videos, photos and files with anyone. By using a simple App called JOYN, you can call, chat, share videos, photos and files with your friends irrespective of whether they are on Joyn or not. However, the one thing that needs to be mentioned here is that in order to place a video call, both you and the person you are calling must be on Wi-Fi and using Joyn. The Metro PCS WiFi calling service uses your Wi-Fi connection instead of the cellular network. So now, it is a simple solution to be in touch even if you are currently in a no network zone. Metro PCS WiFi calling is going to be a whole lot entertaining, particularly when you get to get connected with all of your friends who are also using Joyns online, and get connected to them instantly and chat, or carry on a group chat. With the help of the Joyn App on Metro PCS WiFi calling, you can share videos, live video, pictures, your current location, music, contact cards and other types of files that are on your phone. The best part is there is no additional charge to place a call over Wi-Fi and you can also connect with friends and family even in a no network area powered by Wi-Fi calling. Now, if you have questions with regards to the quality of the Wi-Fi call that you get to make through this service, then you need to know that the quality depends completely on the strength of the Wi-Fi connection that you are receiving. Also, it depends on the router age. The older routers are capable enough to provide good support to multiple devices. Also, they have outdated software which is not all that desirable for a healthy connection. Make sure that your router is being updated after every three years for the best services. Remember, MetroPCS provides you its Metro PCS WiFi calling facility for free without any additional or hidden charges. Also, if anyone wants to understand Wi-Fi calling better, then MetroPCS provides several instructional videos on its website, teaching you the entire set up procedure in a few simple steps. Understand the procedure and then you will no longer be away from making your Wi-Fi calls. This is the most horrible company to have cell service through! The phones are horrible, the sale’s representative was horrible to me after I had the phone for less then a month and it just stopped working, I called customer service and then they were horrible as well! I regret ever buying this phone! A great deal of money and time was wasted….. The Joyn app does not support ALL LTE phones serviced by MetroPCs. It does not support any iPhone. It is only for Android devices. I agree, some phones are horrid. I didn’t know this was the case until I switched to the Nexus 6 and activated it on their network. No issues now! Fast, fluid and awesome! I used to think it was the service that was slow and horrible, but it’s clearly the phone that was holding me back! I was about to say the same thing!! As a consumer, you’re responsible for researching the phones that are available.